If you don’t have valid insurance and get stopped, you are guilty irrespective of the circumstances. You will receive six to eight points on your licence if convicted or if you plead guilty to the offence. Drivers are often unaware that their insurance broker has cancelled their motor insurance and not notified them. An experienced motoring solicitor will be able to advise you of the best way to structure a special reasons argument for your specific offence circumstances. If convicted of a speeding offence you will receive 3 to 6 points on your licence, a possible driving ban depending on the severity of your offence, as well as costs and a fine. Totting up offences are also quite common with speeding as you can soon reach 12 points on your licence and then you will require a specialist motoring lawyer to represent you. Many drivers manage to retain their licences despite accumulating 12 points or more by using ‘exceptional hardship’ as a part of their defence. 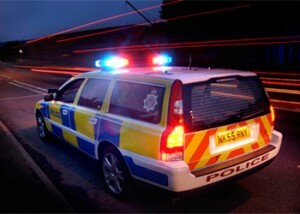 Specialist expert evidence is required if you are going to succeed in defending your alleged speeding offence in court. If your vehicle is caught breaking a motoring law, you will have to complete an S172 request. If you do not complete and return the request, you face 6 penalty points on your driving licence. However, S172(4) and S172(7)(b) Road Traffic Act 1988 provide statutory defences. Either, show you used reasonable diligence to pin point who was driving at the time of the offence, or you didn’t receive the request to do so. Failing to name the driver is a very common offence, but it is possible to defend the allegation if you find yourself in trouble. Ask Patterson Law, motor law solicitors with a proven track record defending motorists and only motorists and you stand the best chance of avoiding 6 points for this offence. In the UK the maximum breath reading for drink drive is 35mg. A 1 year driving licence disqualification is the minimum penalty for drink driving. To defend a drink drive allegation, you need to be able to prove that you were not driving, or that you were not in a public place or on a public road, or that you consumed the alcohol after driving, not before. The three other possible drink drive defences are that you drove only a limited distance, that it was an emergency or that you were unaware that you had consumed alcohol prior to driving. In order for the prosecution to get a conviction for drunk in charge of a vehicle, they will need to demonstrate that you were above the legal drink driving limit and that you were in charge of the motor vehicle. A defence is to demonstrate that you were not intending to drive the vehicle until you were under the drinking and driving limit again. In addition to receiving either ten penalty points on your licence if found guilty, you can also possibly receive a discretionary driving licence ban. The law says that you need to be holding whilst using a phone in order to commit an offence. A stop at traffic lights or a hold up is still considered by the Court to be driving. To be convicted of driving without due care and attention, it is necessary for the prosecution to prove beyond reasonable doubt that the level of your driving was not that of a competent and careful driver. Low speed car park scrapes and knocks as well as undertaking offences are good examples of driving offences covered by driving without due care and attention. Often, the police will offer you a Driver Improvement Training Course instead of attending Court. Section 170 of the Road Traffic Act 1988 states that if damage is caused to another vehicle, a person or to property then you are under a legal obligation to stop and provide your details. Where it’s not possible to exchange details at the time, you must report the matter at a police station as soon as you are reasonably able to do so and in less than 24 hours. Conviction for this offence carries five to ten driving licence penalty points or a discretionary driving ban. One defence is that you weren’t aware that you had been in an accident and caused damage. If you can convince the Court that it would be reasonable not to know then you have a defence against the allegations. For the most serious examples of both of these offences, you can be given community service or a prison term. The prosecution need to be able to establish that the level of your driving had fallen below far below that required and also that it should be plain to a careful and competent driver that the driving is dangerous. The courts take dangerous driving very seriously, and as such, the punishments are commensurate with their views. As such, if convicted you face a minimum 12 month ban, which automatically includes a re-test before you are allowed back on the road, as well as potential custody if your case is deemed to deserve it. This is one offence that often causes a lot of confusion. If you were stopped driving without L plates, or having never passed a driving test, then these would be endorseable offences. If for example you have been instructed by the DVLA to return your current licence & they elect to suspend your entitlement to drive, it is non-endorseable as an offence. Many people believe that ‘no licence’ means that your insurance policy is null and void, but that is incorrect. Courts and the police quite often make mistakes with this road traffic offence, so make sure you have an UK driving law expert on your side.